This beautiful pot was made by the potter, Hidemi Kataoka/Shuuhou of Tokoname. Tokoname is one of the oldest 4 kilns in Japan and is known as a production center of the ceramic ware, especially the bonsai pot. 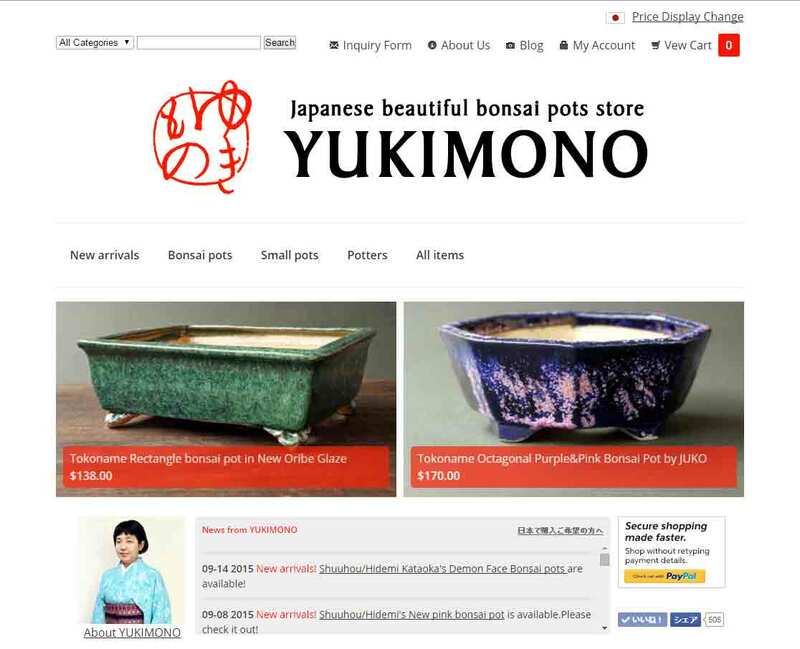 Shuuhou is Hidemi's professional name as a potter. 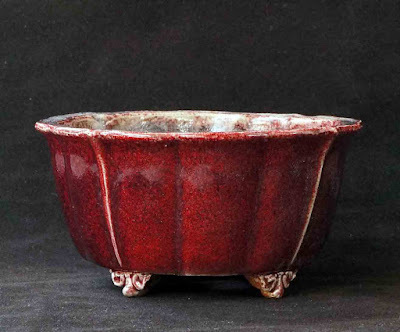 The red color of this pot looks very beautiful and interesting. This glaze is called “Shinsya” in Japanese and is one of the representative glazes used to produce a pot in Japan. 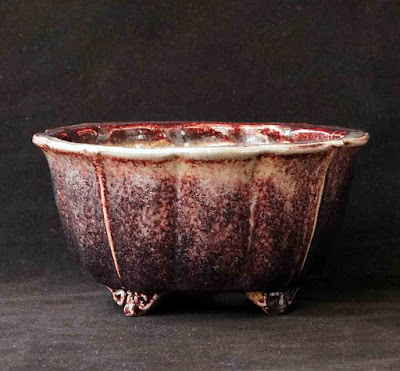 On the front side of this pot, the Shinsya glaze creates a beautiful contrast between the pale white and reddish black. The potter, Hidemi, says that this glaze creates a drastic change in color depending on the firing. On the other side of the pot, the glaze is bright red. I think that’s the most interesting point and the charm of this pot. It was purchased by someone who lives in southern island and left Japan last week. I heard it would be going to be a gift for someone's father. I would be glad if he could like the gift. If it were mine, I would plant an Ume tree, a rose or a wisteria tree in the pot. I believe they would go well with the pot. As the Shinsya glaze would help to bring out the white or purple flowers. What kind of tree would you put into this pot?